Have you ever heard the saying, “If it’s good enough to be true, it probably is?” Well, this aptly applies to the Fyre Festival. Everyone’s has heard, seen, commented on the festival and the aftermath. The Fyre Festival was a combination of three things: social media influence, millennial intrigue and a man willing to take advantage of people’s ability to believe and their desire to be a part of something that was shown as an amazing experience. The Fyre Festival was initiated and developed by the former CEO of Magnesis Billy McFarland and hip-hop artist Ja Rule, who wanted to debut their booking app, FYRE through the festival. The Fyre Festival was meant to be a two weekend, a two-four-day party that was meant to be an out of this world event. It wasn’t. It was a nightmare disguised as a fantasy. 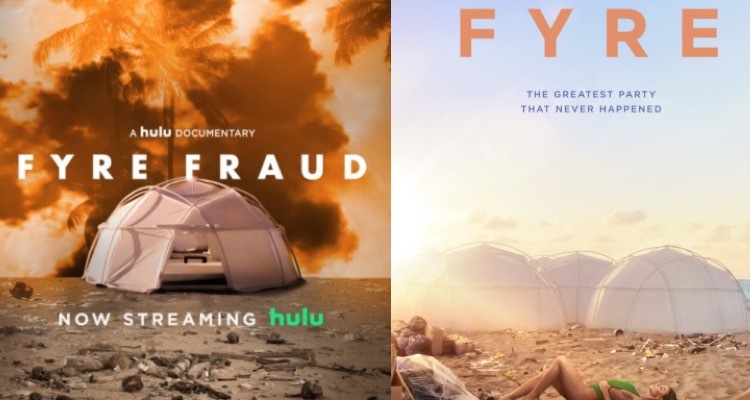 Netflix and Hulu have recently came out with two distinct documentaries; Fyre Fraud and Fyre: The Greatest Party That Never Happened based on the inner workings of the festival, the promoters, and influencers behind the success of selling the idea of this luxurious event including the aftermath the festival had on those affected. Yet, as someone who has watched both documentaries, both pointed out how McFarland’s actions show his total lack of disregard of his employees and his charismatic ability to throw people under the bus for his own personal needs. But what would surprise any viewer the most is the complete indifference and lack of responsibility on the people who produced, promoted, and showed video content about this sham. Again, watching McFarland try to explain away his actions or justify what he did was correct but would leave any viewer in disbelief. But I don’t think people who saw the posts, tweets or memes’ on the festival saw the main point; it’s not only about rich, white kids getting scammed out of thousands of dollars to spend a weekend in the Bahamas to see acts like Blink 182 or Major Lazer. However, the people that helped set up the festival, who got things done on the main ground and later were left to fend for themselves- that is what matters. It’s disturbing and absurd how a person like McFarland could think of an idea like this and would astound anyone who watches both films. The Netflix documentary emphasizes everyone who was directly or indirectly affected by the actions of McFarland- employees, local fixers, etc. while the Hulu documentary focused on the rise of McFarland and his actions relating to the festival and what happened after. Yet these documentaries focused on the important questions as to why this festival occurred and how it led to the comments, edits, and news platforms to discuss something that was meant to be the next Coachella? Are the rise of social media platforms and its influence, the reason why thousands of individuals were stuck on the island for a weekend? Partly, yes, but entirely? Absolutely not.